TapperSwe chose the pyramid partially because of its historical significance and partially for its complexity. 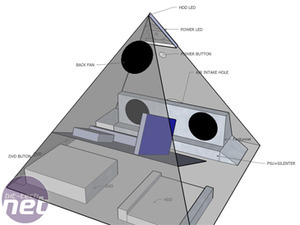 As a case design, a pyramid is a challenge - most motherboards require odd angles of clearance when you consider them on a slant, and any mis-step in design ends up requiring a lot more space than an efficient one. And if you add in the obvious Egyptian link, the challenge can ramp up even more due to the delicate carvings and symbolism rampant in the ancient monuments. King Khufu is apparently going to get a really nice legacy, though - TapperSwe has started off with some serious planning and subscribed to a "measure twice, cut once" mentality. All of the best mods start with a good plan. Flexibility is important, but that doesn't mean you can just ignore it. 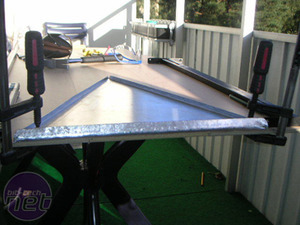 TapperSwe spent some time in SketchUp long before hitting his sheet aluminum. 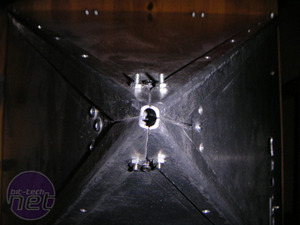 Designs of each of the sides of the mod required some pretty strict tolerances in order for it to fit together right. 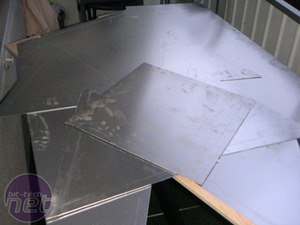 As you can see from the top-down view, TapperSwe succeeded at that goal. Almost all of the individual pieces in the Khufu mod have been sculpted by hand. 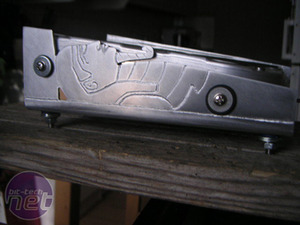 The sarcophagus HDD case even thoughtfully includes rubber grommets for silencing. 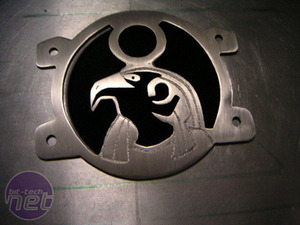 Fans each have custom grilles, including this one of the sun-god Ra. 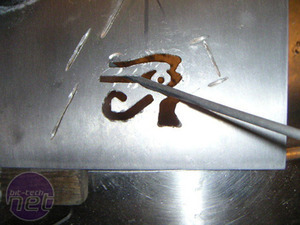 TapperSwe started his eye out of scraps of sheet metal much like his fan grilles. 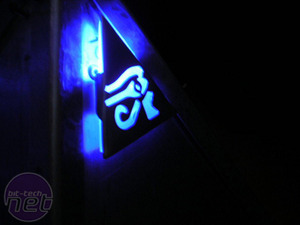 The eye was then backed with frosted acrylic and will be lit up in the final project. What you see here is the eye working on TapperSwe's other computer. The number of details in this mod make it almost impossible to do justice in an update like this. So make sure you take a trip by TapperSwe's worklog to see what he's done and what he'll be up to next. We sure will be!